Without balloons, a birthday party is not truly a birthday party, is it? Balloons liven up a room and can really make a visual statement if you coordinate the colors in the correct way. Festive, colorful and sometimes fun to play with, balloons can turn any event into a lively party, especially when it comes to children's parties. What is not so fun is having to blow up each and every balloon on your own, making yourself dizzy and sore in the process. With the remarkable DG SPORTS Portable Electric Balloon Inflation Pump, you can inflate as many balloons as you desire with almost no effort on your part! 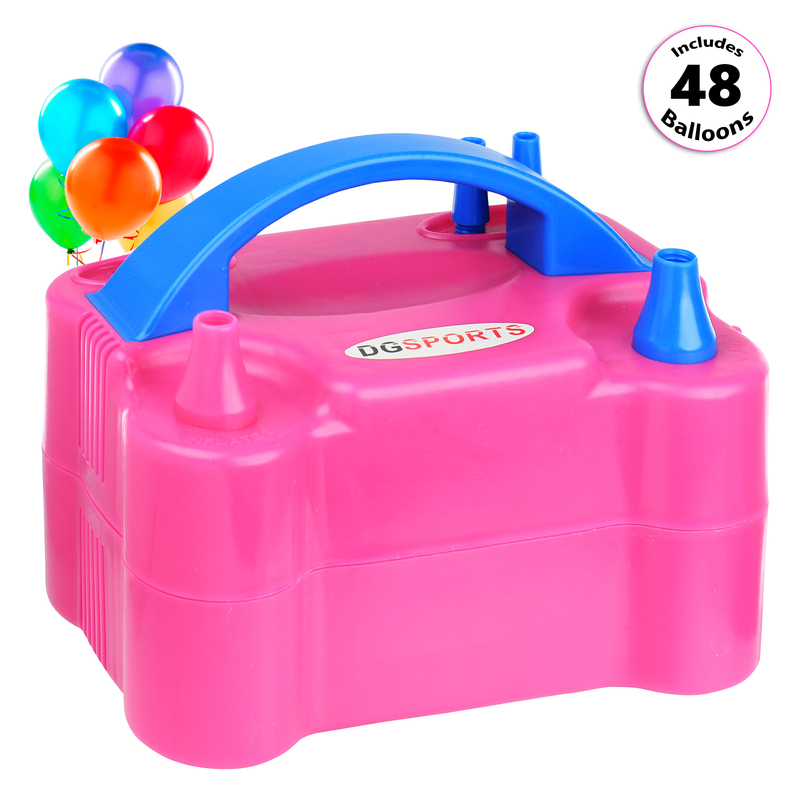 Perfect for not only birthday parties but for charity and corporate events as well, the DG SPORTS Portable Electric Balloon Inflation Pump is a balloon pump electric machine that features two distinct nozzles used to blow up your balloons. This portable electric balloon pump allows you to blow up large balloons with big mouths and smaller, normal sized balloons with average sized mouths alike with the simple interchanging of the nozzles. An easy to use on/off switch begins the process, and all you have to do is attach the balloons to the durable aluminum body to get it going. 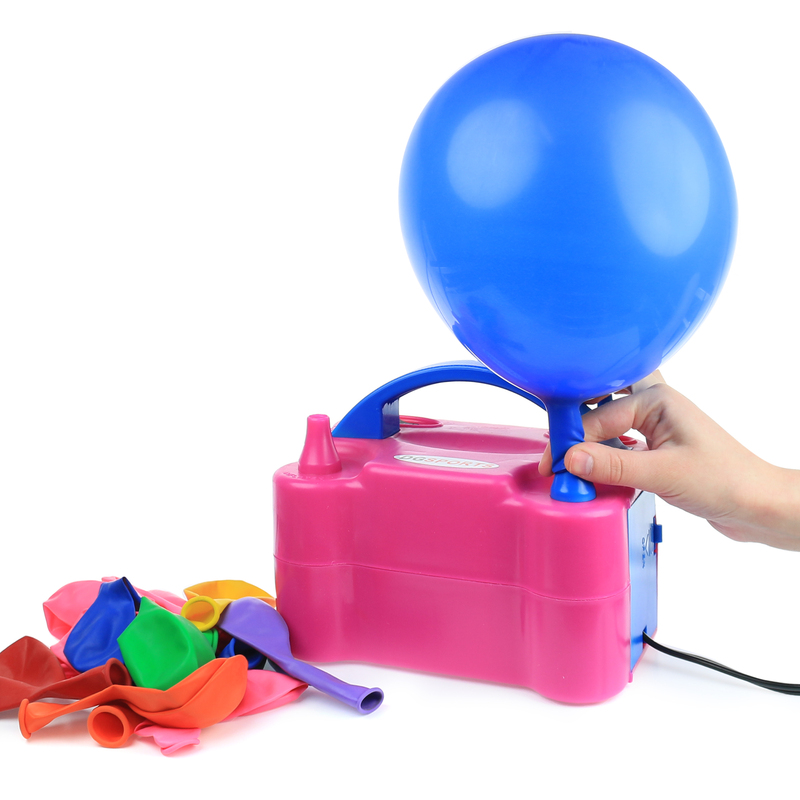 You can choose to manually or automatically blow up the balloons with this balloons pump electric device. The DG SPORTS Portable Electric Balloon Inflation Pump allows you to take it anywhere with you thanks to its compact and lightweight nature, making it simple to blow up balloons at the party instead of filling your car with distracting, inflated balloons to transport them. Buy your own balloons or enjoy a party on us when you use the 48 balloons that come with the electric balloon pump! 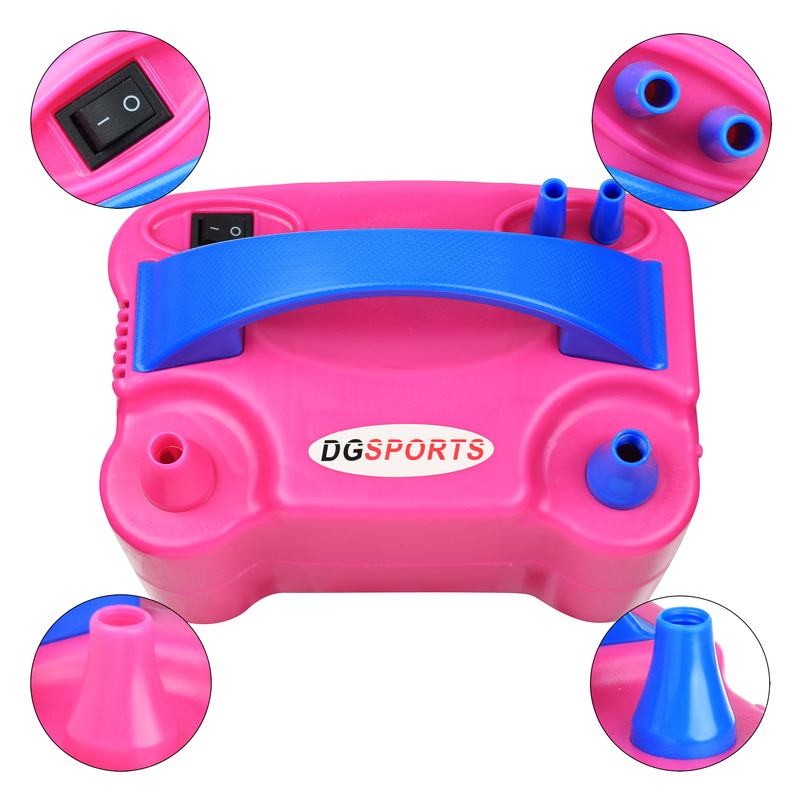 Order the DG SPORTS Portable Electric Balloon Inflation Pump now by clicking add to cart.